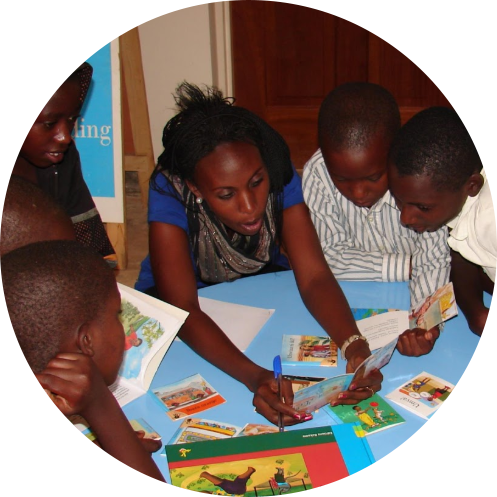 In conjunction with NATIONAL LITERACY MONTH in Rwanda, Ready for Reading is launching a 3-week fundraising campaign. Our goal is to raise $8,500 to give more people in Rwinkwavu the opportunity literacy provides for self-realization and as a path out of poverty. In 6 years, 854 literacy certifications were awarded through our literacy program. Practical skills play an important role in boosting family economy, supporting children’s education and fostering strong local leadership. Our program builds a foundation for socio-economic development for individuals, families and the community. Since 2012, our book collection has expanded beyond 10,000 books. 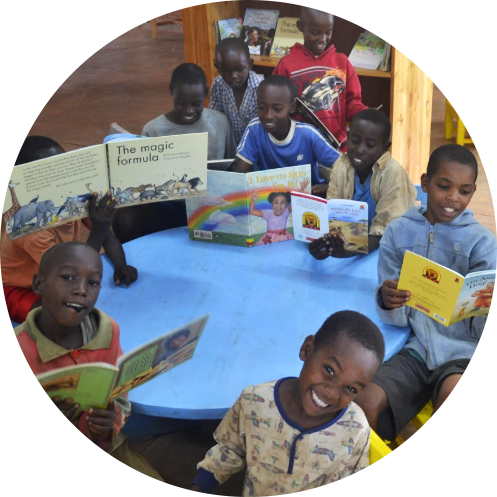 The 28,225 people in Rwinkawavu have access to books, read-alouds and reading circles at the center. New readers’ top picks are books on local culture, heritage/tradition and everyday experiences. Our team of 15 teachers serve over 32,000 people a year from Rwinkwavu and surrounding sectors. More than 70% of our staff has been with us since 2012. Our team comes from our community. We proudly support local talent. Our teachers are passionate about teaching, reading, music, IT and athletics. They know learning happens through various avenues. We can’t do it without YOU, so please DONATE TODAY! Help us bring life to literacy, and literacy to lives. Every dollar makes a difference and any amount is much appreciated and goes a long way.